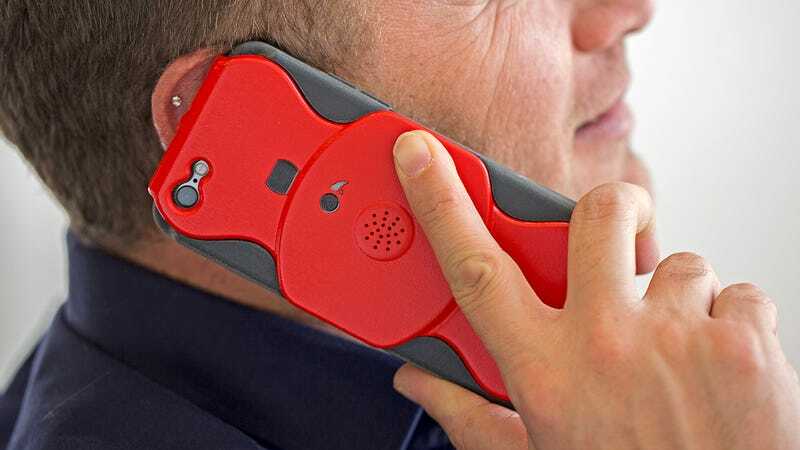 Unlike apps or other online services that can record calls, the Just in Case iPhone case can start or stop a recording at any time. For ease of use it has just two buttons: record which starts or stop the case recording a call, and a playback button for listening to your recordings. The creators of the Just in Case are using Indiegogo to raise $30,000 to help put their case into production. Starting today you can pre-order one in your choice of five different colors with a donation of just $30. That’s considered early bird pricing, though, which means that if you’d rather hold off until the Indiegogo campaign is a success, you might end up paying a bit more for the case. But if it succeeds, and the Just in Case works as well as its creators claim it does, even a few extra bucks will be worth ditching the convoluted compact voice recorder you’ve been having to rely on up until now.